Elegant and beautifully detailed Indian birds are perched on the side of the notecards. Peacocks with gold detailing and a blue and green lush tail is one of the motifs while the elegant parrot with a touch of green and red is the other. 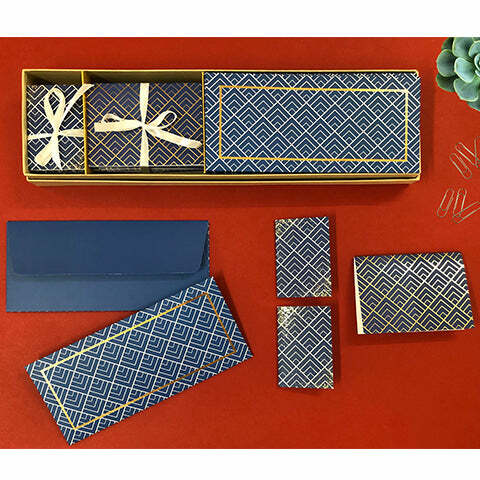 The gold lined envelopes to go make this a wonderful stationery set.